Thank you for your countless hours mentoring our students, collaborating with our educators, and sharing your expertise and experience with SLSE over the decade. 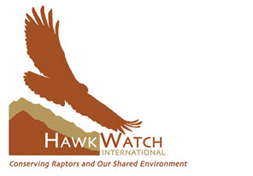 We are very excited to be collaborating with HawkWatch International on a project that allows students to work with data and scientists, both in the field and in a statistics elective class that is offered at SLCSE. The course is available to our 9th, 10th and 11th grade students. Students work with staff from HawkWatch International to learn how data on raptors is collected and analyzed. Students make the tough hike to the research site in the Goshutes to participate in data collection. These trips take place in late September and early October, which are the optimum times for data collection. The trips to the Goshutes are amazing. A wide variety of data will be collected on these trips. Along with existing HawkWatch data students are exploring the world of raptors through a statistics class taught by Ms. Crim. The application of statistical methods to "real" data provides students with and interesting and important educational experience. SLCSE High Schoolers are working with Project Discovery, a team of archaeologists, to host Stewardship Day. This is an event where people from all over the state are invited to tour Nine Mile Canyon while our students, alongside archaeologists and university students, interpret the sites. Our friends at University Neighborhood Partners do an amazing job connecting us with resources in our neighborhood and at the University of Utah. Real Food Rising has been instrumental in supporting our agricultural science curriculum, providing us with invaluable resources and knowledge. Thank you REI for providing SLCSE students with a great opportunity to explore the outdoors. The snow shoes are awesome!. Thank you to Chase Bank for their generous support of summer programming at SLCSE. Big thanks to Cyclesmith for helping set up and maintain the SLCSE Community Bike Shop. Thanks to Intel for the many years of supporting science and mathematics in Salt lake District and the Salt Lake Center for Science Education. Special Thanks to Zions Bank for helping SLCSE to get a running start. They have generously supported many programs as well as remodelling the laboratory. Thanks to Leeds for helping SLCSE get started with top quality microscopes. Thanks to Kristan Jacobsen for all of the amazing photography she has supplied to SLCSE.